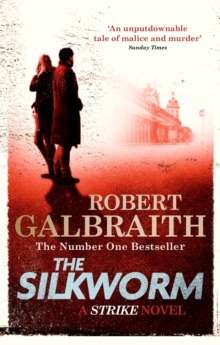 A pleasure to read' TIMES-----Now a major BBC drama: The Strike seriesWhen novelist Owen Quine goes missing, his wife calls in private detective Cormoran Strike. At first, she just thinks he has gone off by himself for a few days - as he has done before - and she wants Strike to find him and bring him home. But as Strike investigates, it becomes clear that there is more to Quine's disappearance than his wife realises. The novelist has just completed a manuscript featuring poisonous pen-portraits of almost everyone he knows.